While editors may be able to plow past glaring errors and see the potential of your epic story, why create roadblocks? You may think your manuscript looks fine, but someone in the industry can spot amateur mistakes at a glance. Formatting is the foundation that supports the content of your submission. 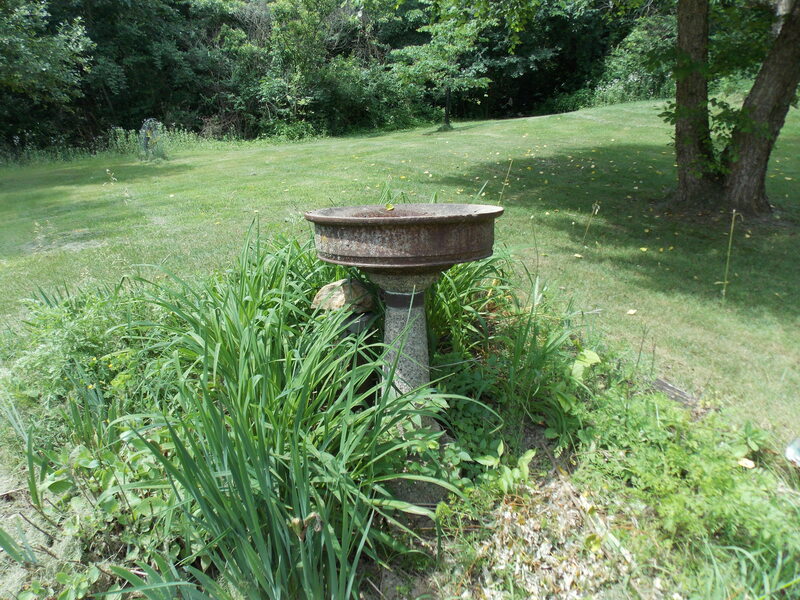 This reminds me of the birdbath my husband’s father made decades ago. Constructed of concrete, rocks, and a tire rim, it’s heavy. Far too weighty to sit directly on the dirt of my flower bed. It may look okay from one side, but a different angle clearly displays its actual tilt. It needs a solid foundation. In much the same way, your view of your work may differ from the perspective of an industry professional. Before reading a word, an editor can spot basic formatting mistakes that identify the writer as an amateur. Give your work a solid foundation to avoid an initial off-kilter impression. This post addresses five basic formatting errors to avoid: not double spacing, extra spacing, double spaces, emphasis formatting, and fancy fonts. Those first three sound spacey, don’t they? And a couple of them may sound like double speak, but they’re not. Trust me. Manuscripts ought to be double-spaced. It’s true that some kinds of work or parts of submissions may be single-spaced. For example, my magazine editor prefers that I single-space my article and paste it into the body of an email message. Also, a synopsis or query letter in a book proposal could be single-spaced. But the line spacing for all manuscripts should be formatted as double. To do this in my version of Word, I go to Format on the main menu, pull down Paragraphs, and click on the Indents and Spacing tab. Then I chose Double under the Line spacing option. If you have another software or newer version of Word (which is very likely), you can do a quick online search to find directions or a tutorial. While you’re formatting your document for double-spaced text, take a moment to check for extra spacing between paragraphs. You don’t want six, twelve, or more points of extra space either before or after each paragraph. In my version of Word, I can make this choice directly beside Line spacing. Find the Before and After boxes under Spacing and click on the up or down arrow until you reach zero. This will avoid unsightly extra spacing between paragraphs in your manuscript. Before you leave that Indents and Spacing box, look under Indentation and choose a First Line indent of .5 inches. If you’re already back in the document, you can format this with the indentation indicators on the left side of the ruler. They look like two triangles touching each other above a tiny bar. Move only the top triangle to the right a half inch. Many amateur writers indent the first line of each paragraph by hitting the tab button. This isn’t something a publishing professional will immediately see, unless they happen to highlight hidden markings. But should you be so fortunate to secure a contract, the copy editor will not appreciate having to reformat all those tabs. And don’t you want to be your copy editor’s friend? This formatting issue may seem to contradict the first one I listed, but I’m now referring to spaces between sentences rather than spaces between lines. Given my age, I totally get this problem. I well recall my high school typing instructor’s command to insert two spaces after each period that ends a sentence. What surprises me is how often younger writers do this. Here’s the deal: computers are smarter than typewriters. They automatically format the correct amount of space between sentences. When you press the space bar twice, you format a wide space that looks weird. Period. Space. Then type the next sentence. If you’ve hit the space bar twice throughout an entire manuscript and now want to change all those extra-wide spaces between sentences, it’s an easy fix. Use the Edit menu to Find and Replace every instance of two spaces with one space. Bam! Done. Works slick. You want to emphasize a word or a phrase, so you underline it, right? Wrong. In these technology-driven days, underlining indicates a hyperlink. Don’t confuse your reader or frustrate an editor by underlining anything that isn’t a hyperlink. Perhaps you should bold words you want to emphasis? No. While style guidelines vary, editors seem to frown on bold formatting. The best thing is to write in a way that clearly shows the emphasis. But if you simply must highlight a word or phrase, use italics. Italics also are sometimes used for thoughts inserted into first-person or deep point-of-view narratives. But it’s a good idea to use italics sparingly. And exclamation points? Almost every editor advocates avoiding them. Some go so far as to say (perhaps tongue-in-cheek, but I’m not totally sure) to use only one per manuscript! (I know, sometimes you simply HAVE to use one.) Oh, and that ALL CAPS thing? You know it conveys shouting and is considered rude, right? If you can find style guidelines telling you how to use bold and italics for a particular publisher, go with them. Otherwise, use special formatting sparingly. Bottom line? Write for emphasis, don’t format for it. Editors don’t like fancy fonts. Unusual fonts make text difficult to read and distract from the content. You don’t want to distract an editor from your scintillating story, do you? Stick with tried and true fonts like Times New Roman (still the most frequent one I see listed on guidelines) or Arial. I’ll admit I sometimes use Verdana or Tahoma or Trebuchet, depending on the editor or organization. If you’re self-publishing a book, you’ll want to use something other than the old standbys. You should do some research to see what fonts are recommended for the type of book you’re publishing and what fonts to avoid. For most submissions, however, I recommend sticking with plain Jane fonts. Again, if you’re submitting something to a specific magazine or publisher, check the website for guidelines. Then follow them to the letter. Why risk annoying an editor because you didn’t take time to read and follow published guidelines? An editor may look past these formatting mistakes and actually read the submission before judging the writer’s ability. But why detract from your writing with poor formatting? Why not lay a level foundation to support your stellar writing? Kids (and adults), don’t try this at home! This year, I’ve been working in my flower bed. 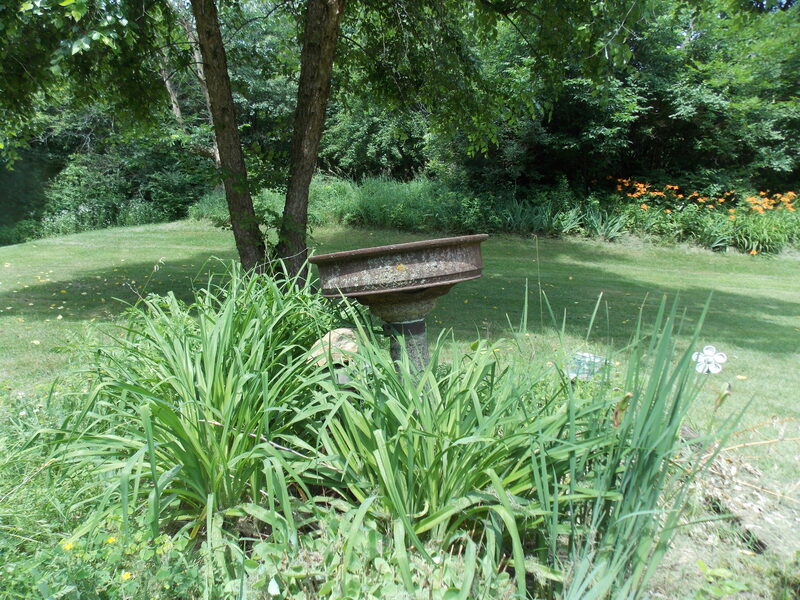 I placed a stone foundation under that heavy birdbath. The picture of the process gives you a glimpse of the difficulty involved. Although I tried to do it myself, I had to accept assistance in order to accomplish my goal.